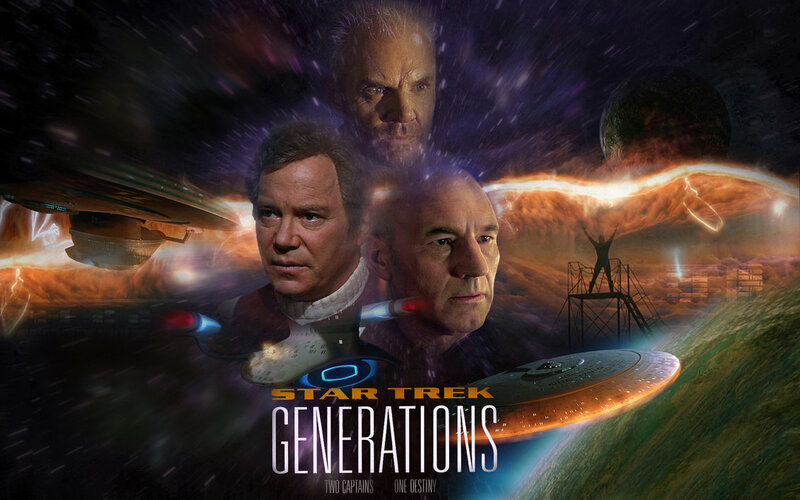 My Take on it – This is one of my favorite Star Trek movies because of the way that it blends the stories and characters from both the original crew and The Next Generation crew. The story is more action packed than any of the previous ones [yes, even more than Star Trek II: The Wrath of Khan (1982)] and gives compelling insight into the idea of regrets one may have in life and also first the first time (to my knowledge) deals with the issue of Naval Officers finding time to have a family. The philosophical issues brought up in this movie are ones that can be debated for quite some time. I liked the Gainon (Whoopi Goldberg)cameo because in this particular case, she had more insight into the situation and was extremely helpful. Malcolm MacDowell is definitely a compelling enemy. This was also a great way to pass the baton of the movies to the new crew while at the same time relieving them of the burdens of the small screen. The concept of The Nexus is great idea which gave the filmmakers so much to work with. This movie broke the “curse” of the odd numbered Star Trek movies being so weak. The music here is wonderful! Bottom Line – Great Star Trek movie. I love the blending of the two series characters together. Done exceptionally well. One of my favorites!. Highly recommended! Did you cry when Kirk xxxxx? spoiler!!! I bawl every time I see Spock die but this one was so lame…..